Earn up to 51,192 reward points. Big bottom all the way to A. Classic fat, rich baritone sound. The PMB-301GL is a gold lacquer finished baritone with lightning fast response and precise intonation in all registers. 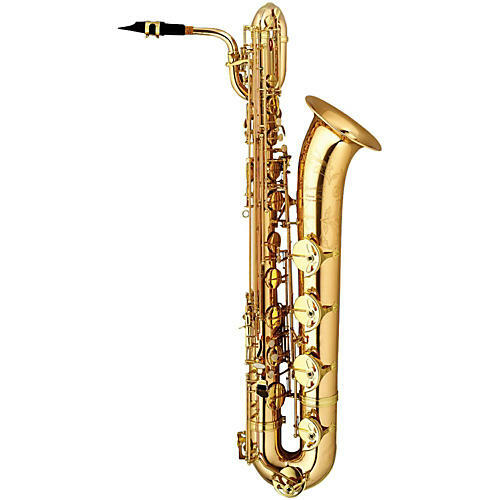 This saxophone has a full and rich tone and keywork that is smooth and agile. It is a professional level saxophone that sits in a section beautifully and can also elevate for any required soloing. It is an ideal horn to anchor your section. Order now and solidify your section's sound.